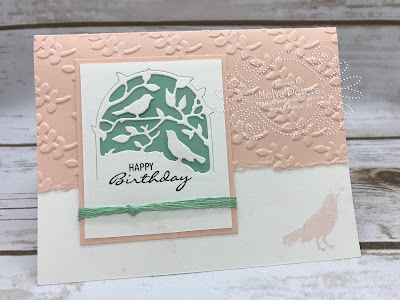 Today I'm sharing a card that I received from my friend Liane Binder that features the Botanical Bliss stamp set and the Botanical Tags Thinlits Dies. 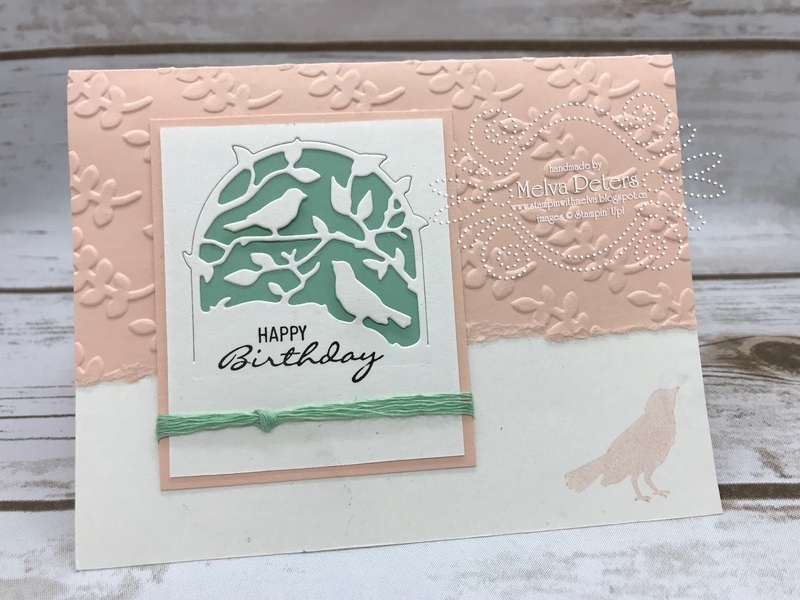 I just love the soft colours that she used for this card. Tear off a 1 1/2" strip from the bottom of the card base. Adhere a piece of Whisper White card stock to the bottom of the card base using Snail. Using the bird die, run a piece of Whisper White cardstock (2 1/2" x 3") through the Big Shot. Adhere to the Card base.